Let’s face it, insurance can be confusing. Even most adults don’t fully understand insurance until they have had to go through the claims process. So, lets have a short little lesson on some common terms and how insurance works. Insurance is basically the transfer of risk. You pay a little to get reimbursed a lot based on the risk that you might experience a loss. A Loss is any one incident in which one or more items of property is damaged, destroyed or stolen. This term is commonly confused with Lost. Lost is your inability to locate an item with lack of evidence to support the theory of theft. These two should not be mistaken for the other as they have two drastically different meanings. Replacement Cost is the amount that an entity would have to pay, at the present time, to replace any one of its assets. For example, if a 30 gigabyte iPod® is stolen, it would be replaced with a value for the current 80 gigabyte iPod® available through Apple.com. With Replacement Cost you will always be paid for a current market item at the current market value. Proof of Ownership is your documentation or records, such as sales receipts, pictures*, owner’s manuals, or UPC’s from the original box, to prove ownership of the item(s) being claimed. Perils are the losses that an insurance company will cover. For example, Worth Ave. Group covers Theft, Fire, Flood, Natural Disasters, Vandalism, Lightning Strikes and Accidental Damage. Premium is the amount you pay for the insurance. Worth Ave. Group charges an annual premium meaning you pay for the insurance once a year. Deductible is your way of sharing the loss in the event of a claim. For example, if you have a $50 deductible, that will apply first to the loss, then we will pay any amount over the $50 for the loss. 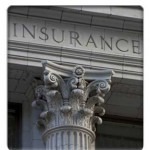 We will take your deductible out of your claim check in the event of a loss. By knowing the major terms, it should help you to understand insurance a little bit better. If you ever have any further questions about how our insurance work, contact a customer service representative for assistance.